For some of us, it's hard to imagine living and staying still inside our homes during this scorching time of the year. Surely, you've ached to head to the beach, scale a mountain, or find other places that don't let you run the risk of developing heat stroke. But staycation is possible. We're revealing one house that is as lovely as it is cool and calming to our restless souls especially this summer. Check out its stunning features by reading on. 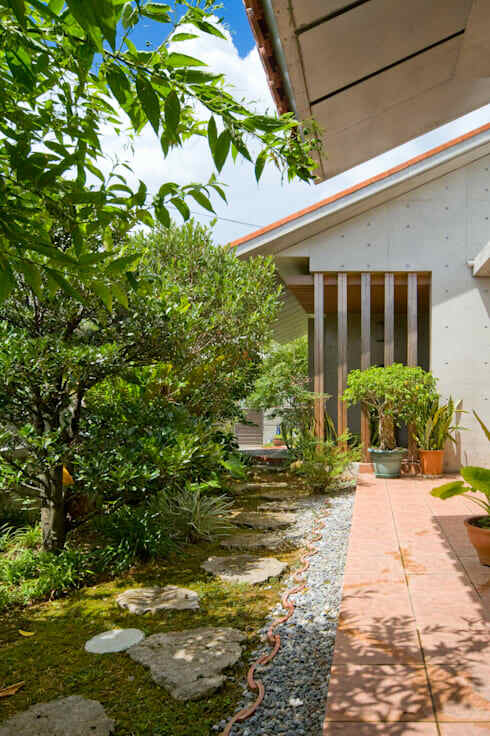 Living in a subdivision or anywhere that basically puts your property in between commercial and residential structures can be discouraging for those who love space and a bit of tranquility. This house may just be the perfect solution. 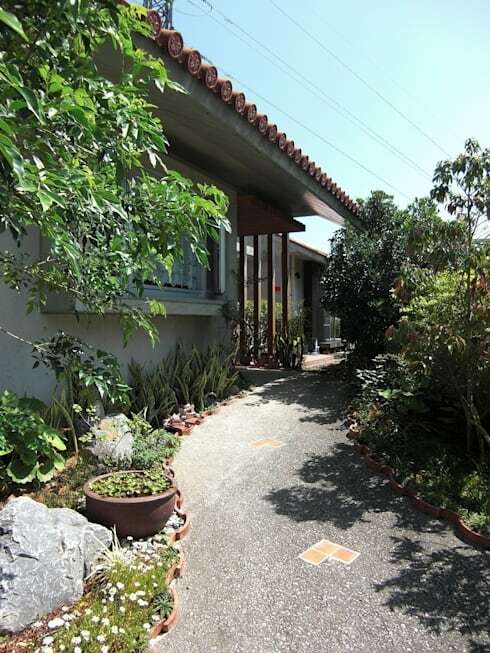 For one, its open back porch leaves more than enough space to calm your soul and keep you attuned with nature. The pathwalk leading around the house is decorated by a variety of plants which will soothe your eyes and give you an illusion of coolness amid the heat. Other than being good for your health, the plants also enhance the look of the quaint structure. We're also specially mentioning this simply charming side walk that combines stone steps, gravel, and ceramic tiles to pull off a rustic garden look. Notice the wavy ceramic dividers lining the sides which came all the way from the path walk featured earlier. Their waves nicely offset the sharpness of the lines and parallelograms on this entrance. Either way, the earthy colors plus the Asian geometry of the design here already complement the strong lines. The wood and white combination as well as the minimalist design evoke a convenient clean impression. 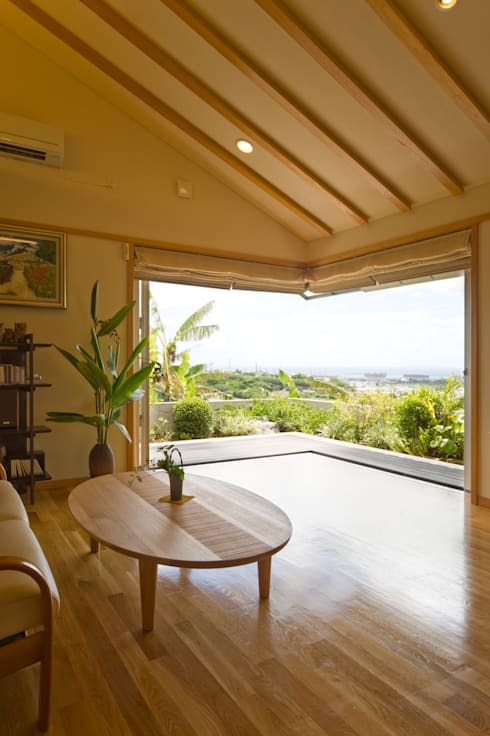 We also like the Japanese theme here in spite its blending with modern elements just like the sliding windows against the glass ones. 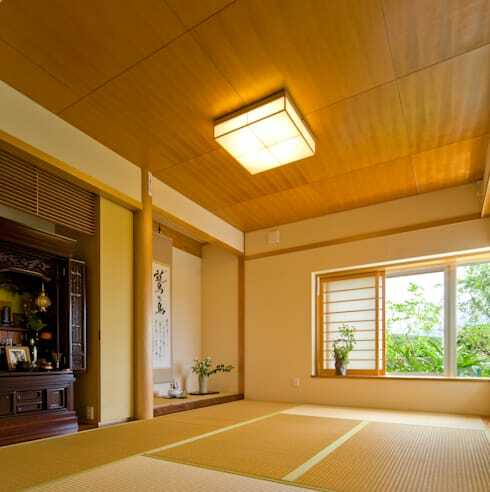 This room can be considered a multi-purpose hall just like most main halls of traditional Japanese houses. If it is keeping calm that you are searching for in a home then this house has got a wide corner dedicated to providing you a calming vista just by sitting idly on the couch. 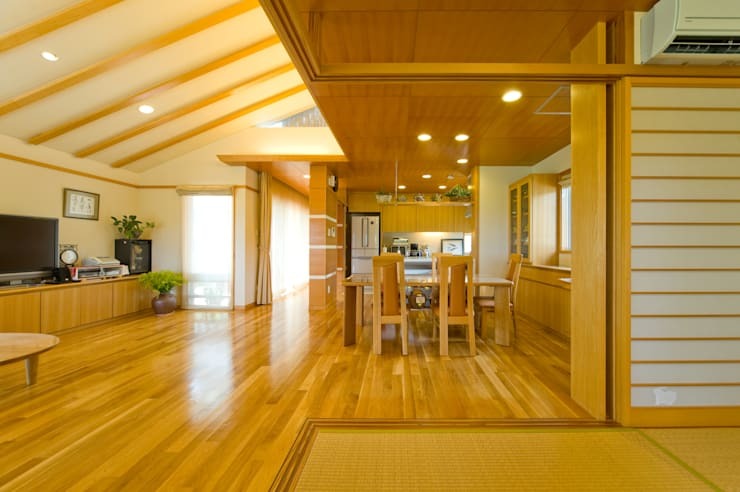 Here's a look at the breathtaking dining and kitchen areas which are absolutely well-ventilated and lighted because of the minimalist lines plus again, the white and wood combo. 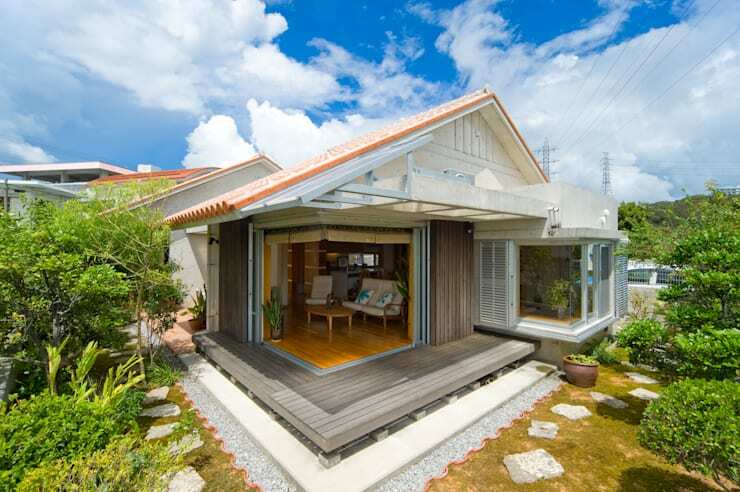 Check out the sloping roof and its visible wooden beams too! 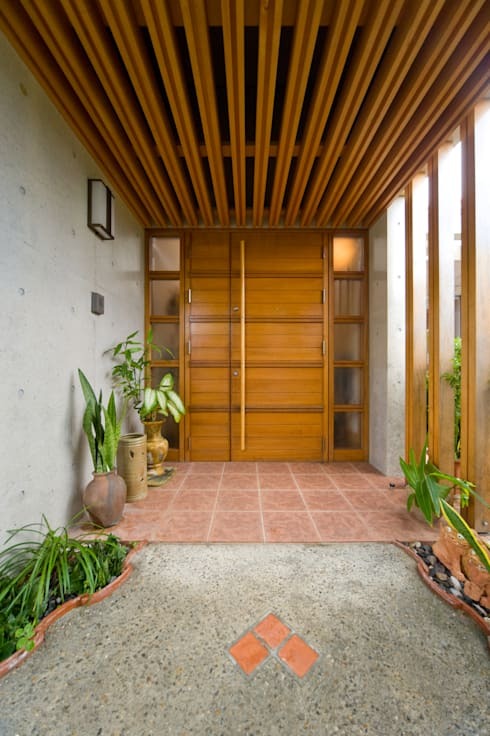 See how those complement the majority wooden side of this area.